Prost! Join us for our new podcast, the Project Management Happy Hour! 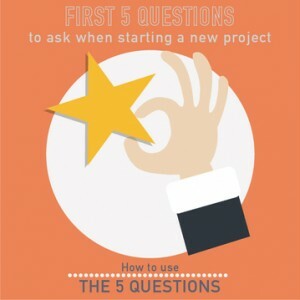 In our first 5 episodes, we looked at the first 5 questions you need to ask whenever starting a new project. This week, we have a bonus episode based on those 5 questions! Question 1 helped us define success for the project, Question 2 helped us understand scope and opportunity. Question 3 helped us understand budget and value, and question 4 helped us understand the schedule and what drives it. In question 5, we looked at how to understand where it can all go wrong, and how to avoid that. On today’s bonus episode, we’ll talk about how and when you can use the five questions we discussed in this series. So if you haven’t listened to our previous episodes, go check them out. How do we define success and how will you measure it? What is the Scope and what is the problem or opportunity you are trying to resolve or exploit? What is the Budget and what is the value the organization expects? When does this need to be done and what is driving the date? Where can this go wrong and how can we prevent it? As a PM, how can you benefit from these questions? Or better yet, are these questions for project managers only? For everyone else, this is not just for Project Managers. This strategy can be used for anyone who is a project stakeholder, a project team member, a resource manager who provides a resource to a project, supporting organizations like Finance, or even to someone like an executive who is considering sponsoring a brand new project. This is also for aspiring PMs and for people who are looking for strategies to get ahead at work or to understand a job assignment. Now that we understand who this is for, let’s jump into discussing where and when you can use these five questions. Before we even have a project to take over, we can use these 5 questions for scoping a project. Whether we are working internally with stakeholders, or if we are an account manager working with a client, the 5 questions are a great way to frame up the solution. Just work top-down with your team to answer the 5 questions. By the time you finish with question 5, your project is framed up pretty well. From there, you are well positioned to start developing your business case or project justification. This is also great for potential project sponsors to figure out what exactly it is they want to sponsor, why, and what it looks like. Keep in mind, our kickoff presentations generally have 5 main slides – one for each dimension. Although, you may end up adding a couple more depending on the situation – organizational chart, etc. But try to keep it light. It must be quick, succinct, and to the point. Building the self-discipline to keep a kickoff to 5 slides with no more than, say, 3-5 points each, helps ensure you are not committing assault by PowerPoint and focusing instead on a meaningful dialogue with your team. Please check the attached template. Particularly for large organizations where there are many departments, it can be incredibly useful to create a short overview PowerPoint of a project as a communications pack. When approaching stakeholders, having a deck like this at hand to quickly and effectively describe your project is indispensable. It also works well to communicate project essentials to team members, and internal and external stakeholders – taking care, of course, that any sensitive information contained is appropriate to the audience. It seems like every time you make a new move, you get the question “What’s this project all about?” You could send them your beautifully crafted 35 page Project Charter or Project Initiation document but you’ll probably get more from less. So a 5-page slide deck is a great way to brief your audience. In fact, you can take the Kickoff version of your 5 points and use that as a basis. Then, maybe add an org chart and who to contact slide, and you are good to go. Remember, here’s where it can really save your bacon. If there is a project which you suspect may be in trouble – it has critical escalations or is falling behind – you can use the five questions to do a quick and efficient assessment. Sit down with the PM, sponsors, and stakeholders then ask these 5 simple questions. I’ll bet that it will be clear within 15 minutes if there is a problem and where that problem is. There are many ways to look at a project. The five questions we’ve shared over the past few episodes is a quick and easy way to not only get your hands around a new project, but also to frame-up a new project the right way and to take a quick measure of an ongoing project. What is the Value you expect in return for this Investment? How will you recognize that value? How is this budgeted? How was it estimated? Was it unilateral? Was it well vetted? What kind of contingency is there? If it is needed, how is it accessed, and in what circumstances? You don’t have a written budget – don’t know the budget! It has not been communicated to you how you’re tracking the budget. If there is no contingency built in. You don’t know the expected business value that justified this investment, or if you are going to deliver on that. You may also rate and post a comment for us on iTunes or on our site at PMHappyHour.com. This topic contains 0 replies, has 1 voice, and was last updated by 1 year, 8 months ago.